Beauty Inspired Concepts (BIC) sells wigs that empower their clients to Live Life Beautifully. They are an up-and-coming company who hired us to create a brand that appealed to their largely female customer base. Based off of a sketch by the company founder, the logo represents the “bold, confident women” that BIC empowers. 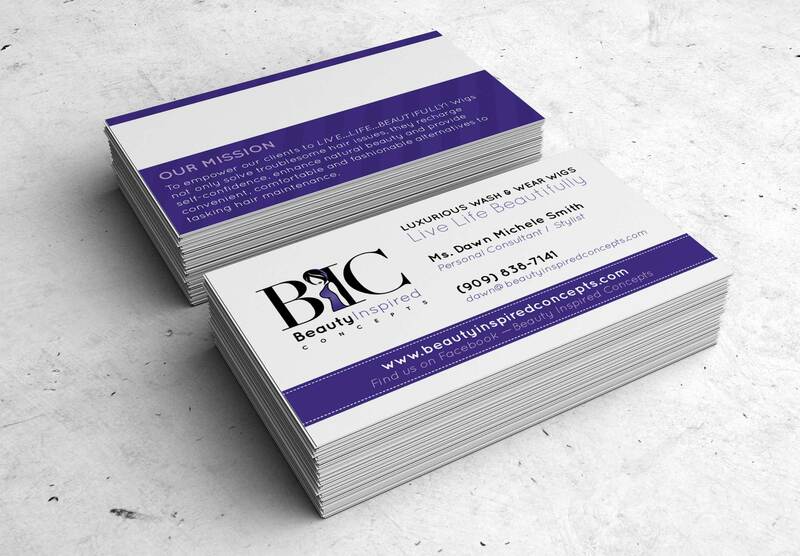 We created business cards, stickers, and banners for BIC trade show booths, and are currently helping BIC reach a larger customer base by developing an e-commerce website for their online customers and beauty consultants.